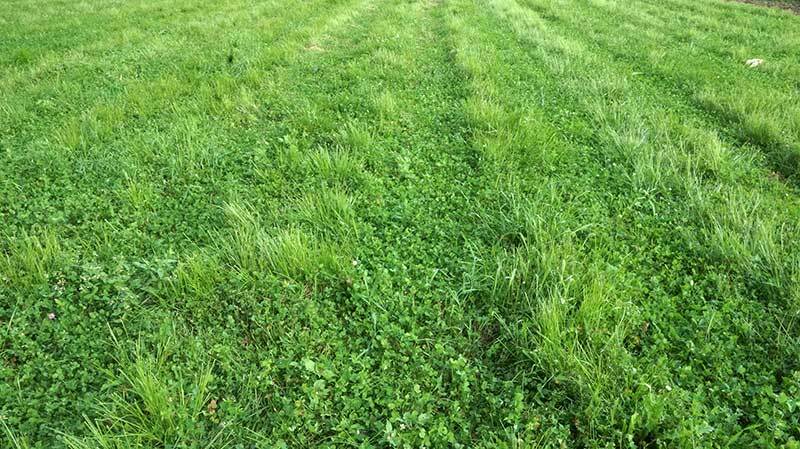 This alfalfa/red clover plot is in year 2 and it is showing mixed results. 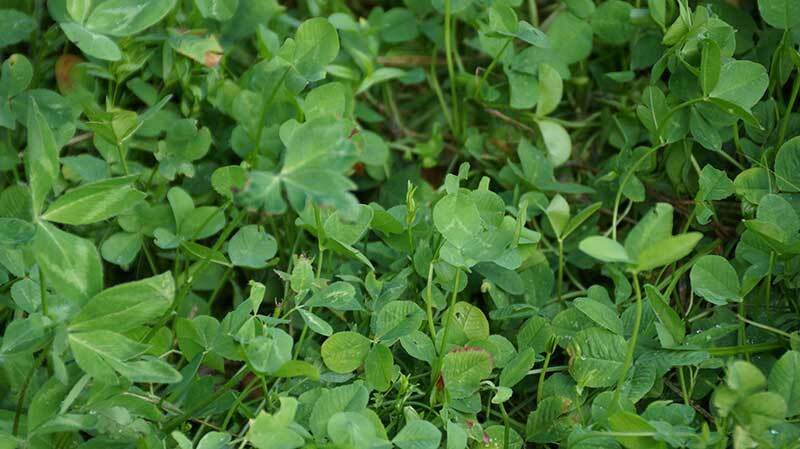 The Bulldog Alfalfa is all but gone, but the red clover is doing very well and expanding. I am fighting grass invasion here as well both with mowing and herbicide but I'm having poor success controlling the grass. Weed control is no problem. 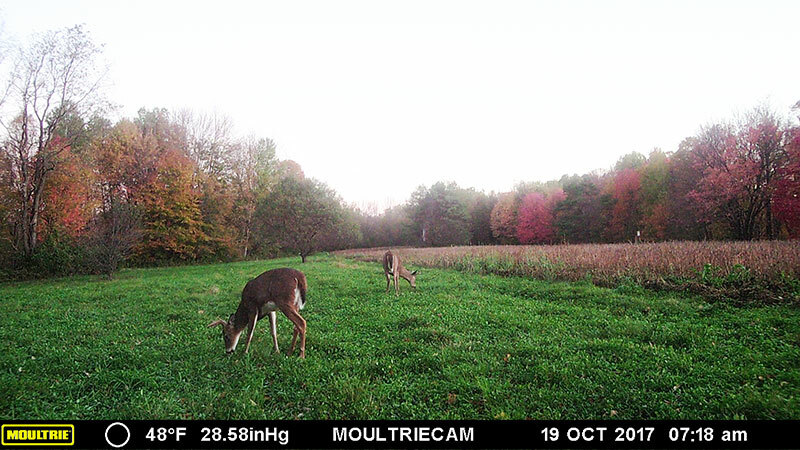 Deer utilization was strong in the early season but it dropped off during hunting season and had no draw during the cold weather. Once again we have a failed alfala plot. Alfalfa is tough to grow but when it does grow well deer love it. So I'm a glutton for punishment and keep trying different varieties. The Red clover grew and drew very well. I plan to wipe this plot out in June and start again. PH 6.9, Fertilized with 5-20-20 in early May and then a K application late summer. Not for Alfalfa but the red clover did well.